When it comes to a Mortgage, you don't have to be the expert...leave that to us! Our members deserve the best Mortgage product. Whether you're buying your dream home, vacation home, or simply refinancing, let us guide you down the path to the best Mortgage for you! Testimonial from Rebecca C.: Stephanie, I would like to commend you on your work ethic and your dedication to your members. 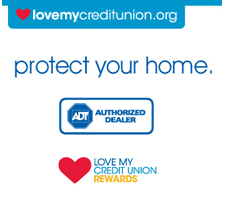 This credit union has been nothing but amazing to me and I have just started my membership. I feel like I have been a member for centuries the way I was treated. I can never put in words how grateful I am for you and Community Alliance. You all are truly a blessing to me. Thank you for being my guide to Financial Success! Want to talk about it? We'd love to help you! To apply by phone, call us Monday - Friday at 800.287.0046 and talk with one of our Mortgage Lending experts. Conventional Mortgage - Home mortgage borrowers with good credit and the funds for a larger down payment may be better served by a conventional loan than an FHA-insured loan. FHA - This may be a perfect option for members who are looking to purchase a home without a large down payment, making it a great choice for first-time homebuyers. FHA loans may also help members with a lower credit score purchase their dream home. Need Homeowners Insurance? Get a Free Quote. Mortgages: Community Alliance CU does business in accordance with the Federal Fair Housing Law and the Equal Credit Opportunity Act. Community Alliance CU is an equal opportunity lender. All home lending products are subject to credit and property approval. Rates and program terms and conditions are subject to change without notice.